When you or your child is experiencing a dental emergency, the first thing you need is a dentist who can see you immediately and then get you out of pain. Dr Kaur makes prompt emergency care a priority, whether you’ve been to our practice or are a first-time patient. After you arrive and we’ve stabilised the situation, we will talk to you about what needs to happen next. You will always have a chance to make an informed and educated decision about the future of your smile; emergencies are no different. In most cases, pain relief is the most important concern. When that has been addressed, we can create a customised care plan that fits your budget and long term oral health needs. 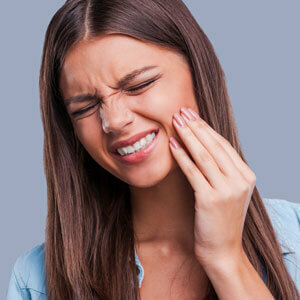 We understand that dental emergencies pop up when you least expect them. That’s why we’ve developed our practice to work around same-day emergency care for new and existing patients alike. Even if your injury or toothache happens at the end of the day or on a weekend, we can still arrange to see you in our practice. It’s our priority to get you out of pain as quickly as possible. If you’re experiencing a dental emergency after our normal business hours, please send us an email. All incoming emails are monitored by our staff. As soon as we are aware of your situation we will call you on the number provided to advise you what the next steps should be. Contact us immediately to request an appointment or to speak with a member of our team.